Do you need to program a new automotive key to your car? Is the existing key of your car don’t start the car and the security light is blinking? You have arrived at our car key programming service, and car keys center in the Lehigh Valley, PA. For the purpose of replacing your car key as soon as possible, simply call us now. It’s important to mention that we provide automotive keys replacement from scratch by getting the key code. This includes also when you lose all the keys to your vehicle and you have no spare key left. Many times, you’ll have to call a local locksmith that is mobile and provide 24-hour locksmith services on-site. Car key programming at LockTech24/7 is your best choice in Allentown, Bethlehem, and Easton PA. Most of the cars built after 1995 require a programmed transponder chip key in the process to start the car. 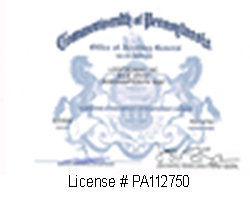 LockTech24/7 provide transponder key program services to residents of Allentown, Bethlehem, and Easton Pennsylvania. 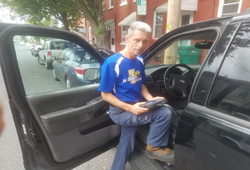 We drive full mobile locksmith shop, providing 24/7 emergency car key replacement service in the entire Lehigh Valley, PA. Our locksmith can cut and program automotive keys on-site, and on the spot. In some cases, especially when the battery of your car is empty for a long time, a glitch to the chip in the head of your car key can occur. You turn the ignition to ON, but you’re not able to start your car. Charging or replacing to a new battery, won’t turn the blinking security light off. Your key is simply doesn’t work. In this case, you need to call us to re-program your car key again. Programming your automotive key is an advanced security process that involves an advanced diagnostic machine. We connect to the computer of your car through the OBD plug in order to program your auto keys. Many vehicles require a pin code in the process to program the key. Not only our locksmiths can purchase it from the automobile manufacturers, but we can also program a new key and fob, or re-program an existing key to your car. A professional car key programming service is only one phone call away. With this intention, please call us now, and needless to say that we will be at your location within 20 mins.